Colostrum is the nourishing fluid produced by mammals as food for the newborn in the few days after birth., before milk production begins. 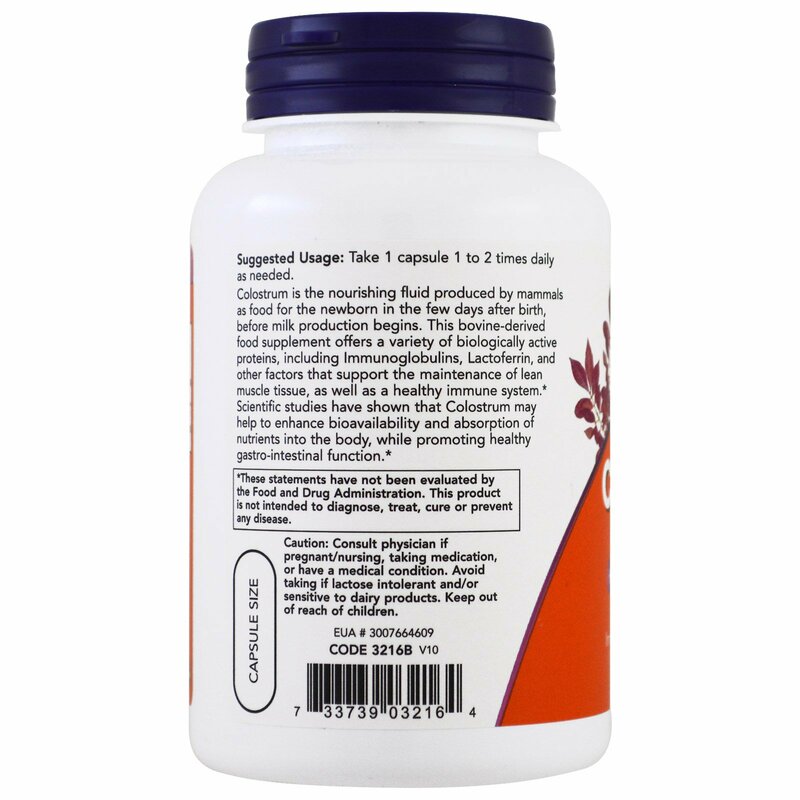 This bovine-derived food supplement offers a variety of biologically active proteins, including Immunoglobulins, Lactoferrrin, and muscle tissue, as well as a healthy immune system. 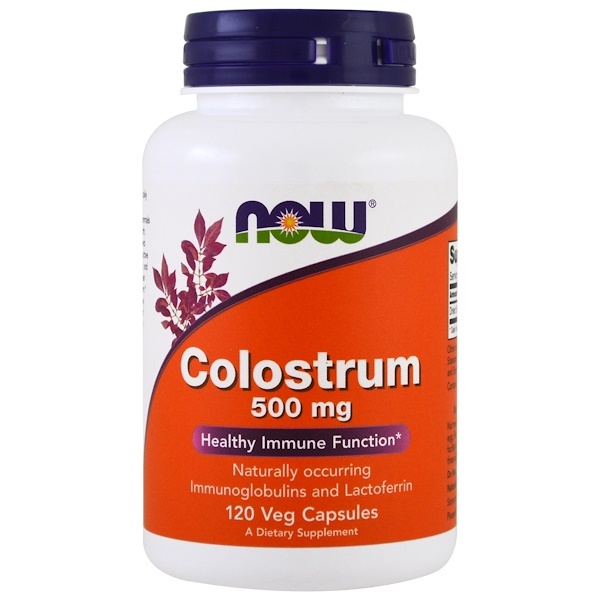 Scientific studies have shown that Colostrum may help to enhance bioavailability and absorption of nutrients into the body while promoting healthy gastro-intestinal function. 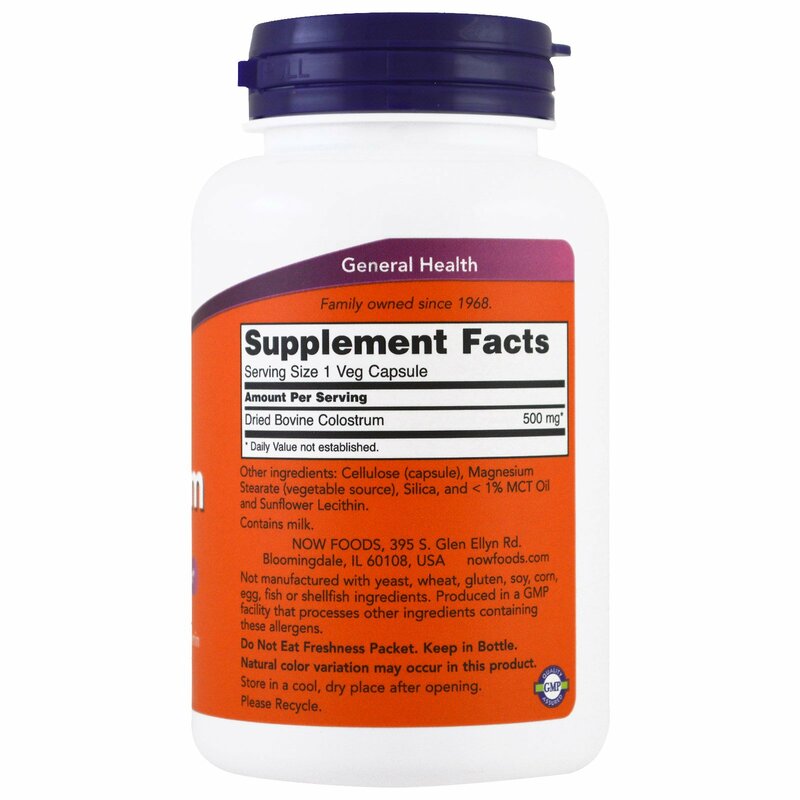 Take 1 capsules 1 to 2 times daily as needed.